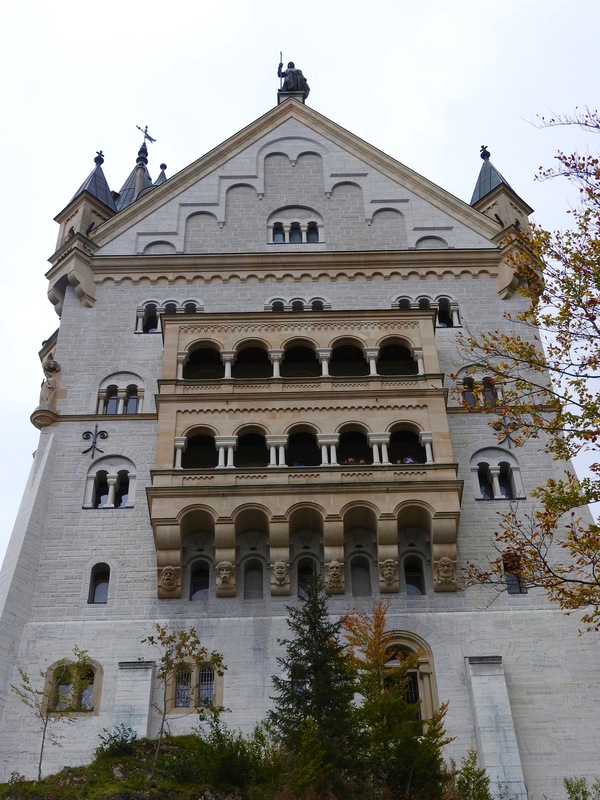 Settled on a rocky hill in the Bavarian Village of Hohenschwangau, Neuschwanstein Castle is said to be the inspiration behind Disney’s Sleeping Beauty Castle and has been on our bucket list for a very long time. 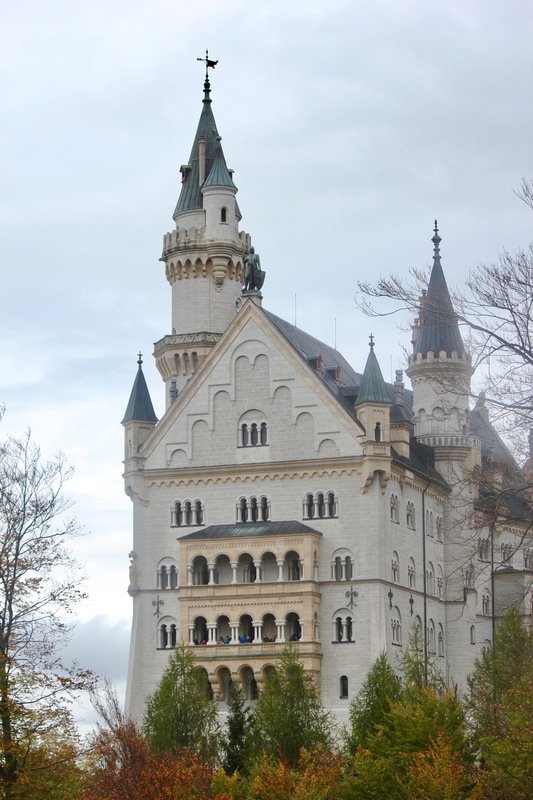 The castle is not medieval and was built in Neo-Romanesque style only in the 19th century by King Ludwig II of Bavaria. 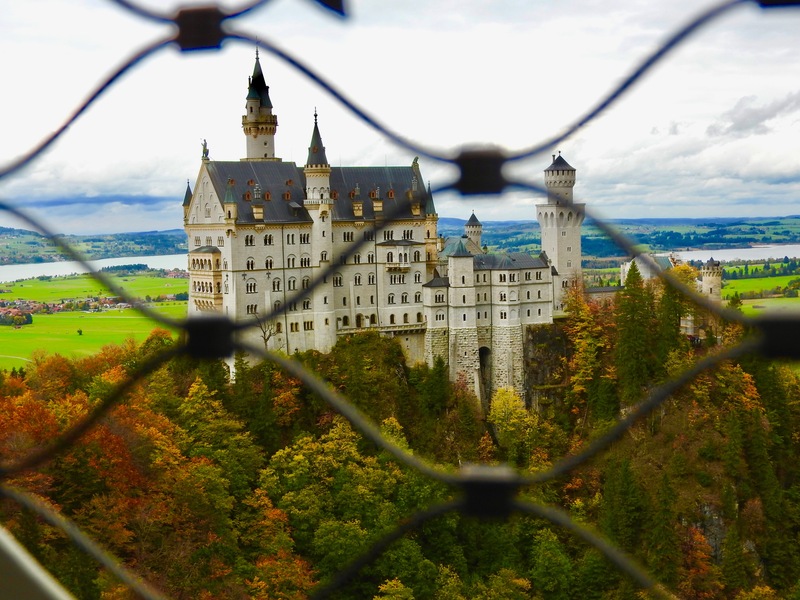 The castle looks spectacular from outside as if plucked straight from a fairy tale. I always wondered how many rooms this humongous castle would have, well, that still is a mystery to me as the castle was never complete till King’s death and there are only a bunch of rooms and a section of the castle which is open for the tours. 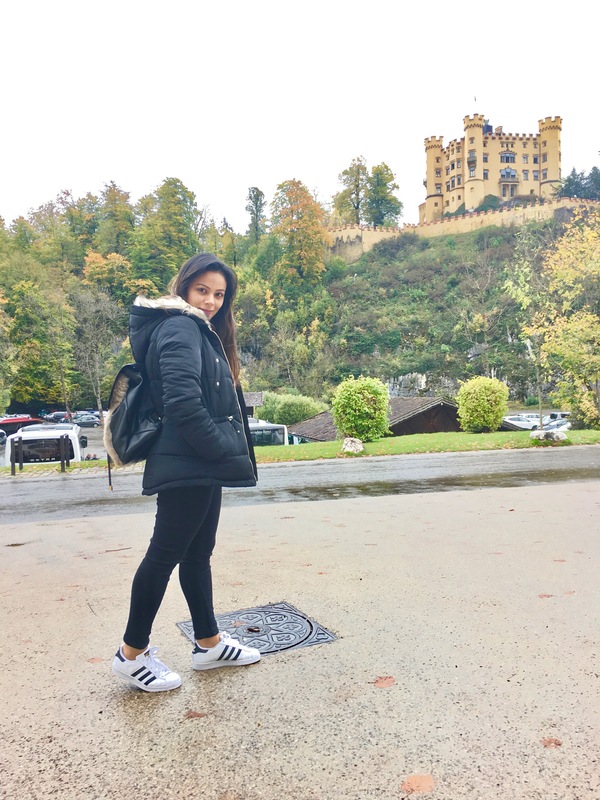 Now you can easily book a tour while you are in Munich and visit the castle, there are many companies which do a guided tour every day. Some will take you on a coach, some will take you by the same train which we took. 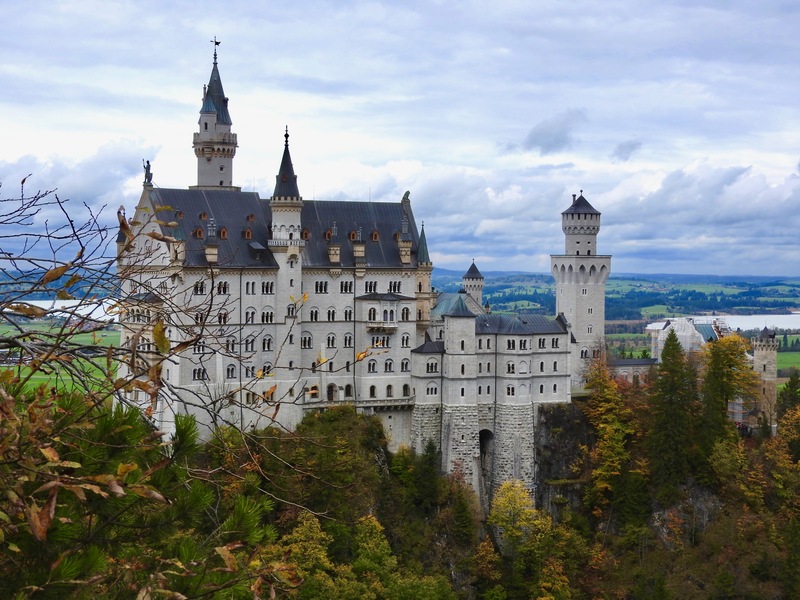 Your guide will tell you interesting stories about the castle and the Mad King but for the castle interiors, you must take a separate guided tour, the tickets for which your tour company would have already arranged for and you don’t have to wait in a line. So, if you haven’t planned it’s best you go with a tour agency because buying a ticket on the same day from the ticket window is just crazy. We booked our tour tickets online on the official website at least two weeks in advance. We booked for a 2:55 pm tour and then planned backwards. A day before our visit we bought the Bayern Ticket from a ticket vending kiosk, you can always buy it online or through the App. Checked the train timings on the website which will also tell you the platform no. , but do confirm it once you are at the station the next day. Tip – Bayern Ticket is an excellent bargain if you are planning a day trip and have at least one more passenger with you. You can read more about it HERE. On the day of the travel we left our hotel and took a short ride to the Hauptbahnhof, the Bayern ticket also covers the local public transport post 9 AM. We reached the Main train station, at least 40 minutes in advance, bought some delicious sandwiches and hot coffee at Rischcart, checked the schedule, re-confirmed the platform no. and off we went to board the train which was completely empty… but as we came closer to the departure time it started to fill up rapidly, at the time of departure there was literally no space to sit. So, it’s advisable to be there at least 20 minutes in advance. The train ride is short and scenic. 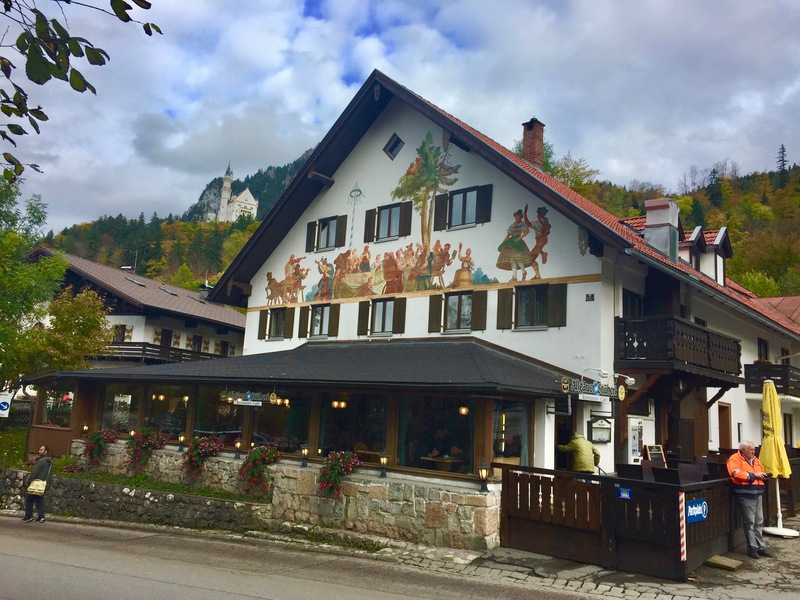 We reached Fussen close to noon and stepped out from the station, followed the crowd and boarded the Bus no. 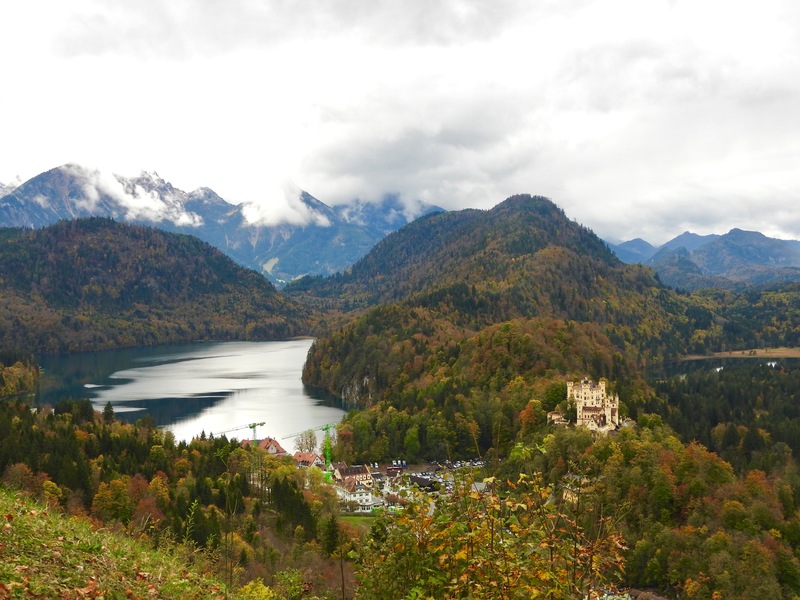 78 to Hohenschwangau, this short bus ride is also covered with the Bayern Ticket. The bus was packed, but luckily we got the seat on the left side and got some great views of the castle. The ticket centre is just a short walk away from the bus stop and here we realized why it is necessary to pre-book your tour tickets in advance. Nowadays there is even a line for the reserved tickets counter but comparatively, it’s still much shorter. Note:- You must collect your tickets from the ticket office at least 90 minutes in advance. As we were there rather early and there was still a lot of time for our tour to begin we ventured out to explore the Lake Alpsee. 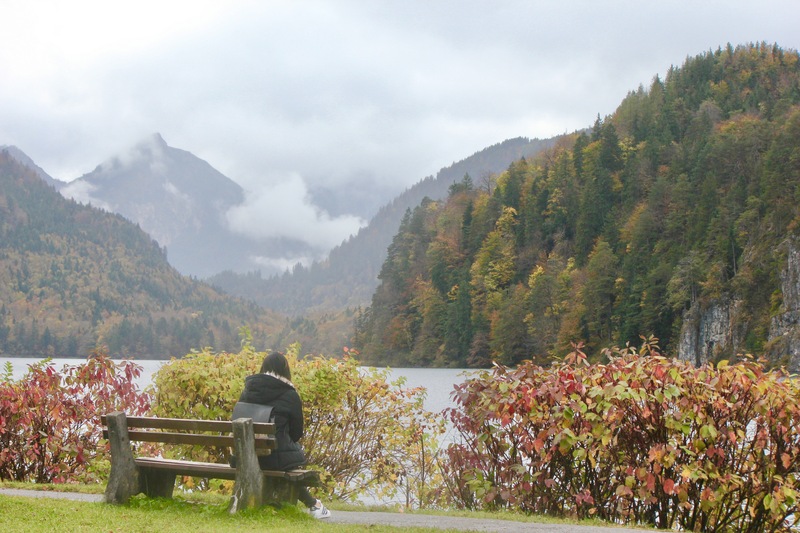 Pristine and calm Lake Alpsee is an excellent spot to just stroll, appreciate nature and unwind. 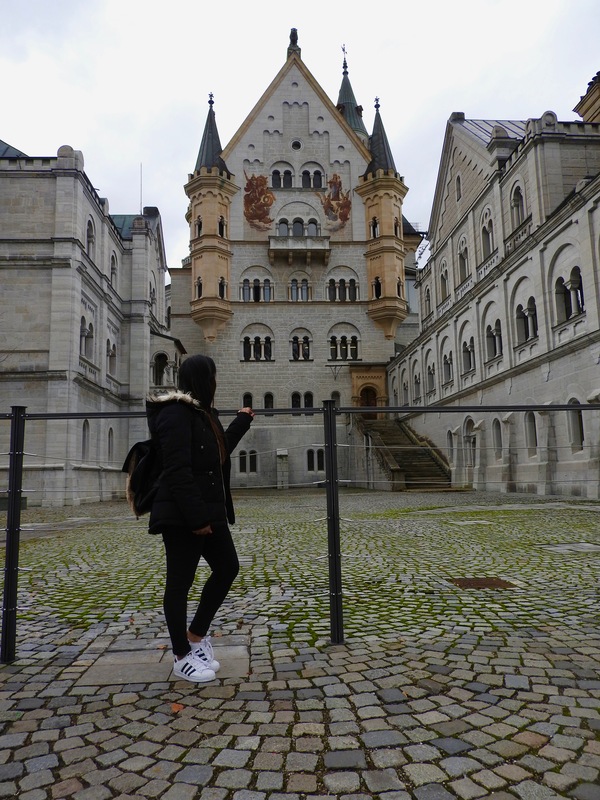 After spending a good 30 minutes at the Lake we headed towards the bus counter and took a round-trip ticket to the castle. 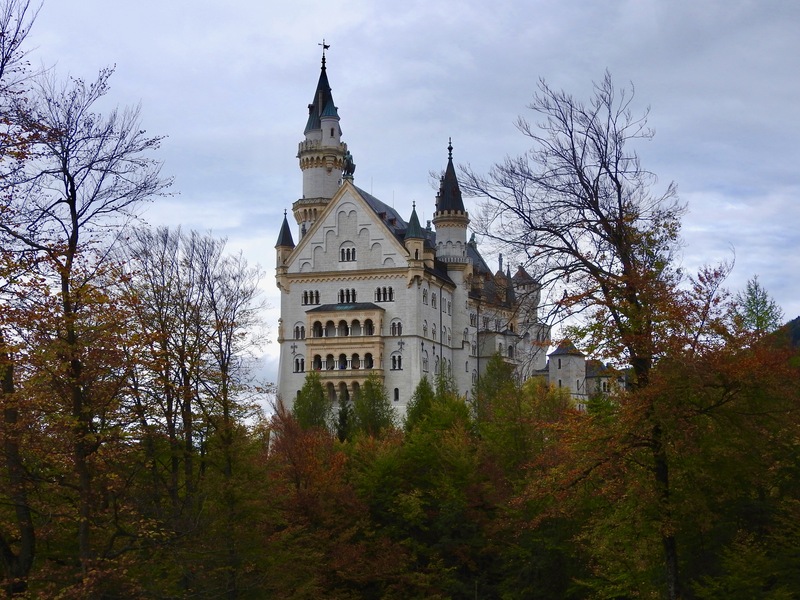 You can also hike up to the castle or take the horse carriage. 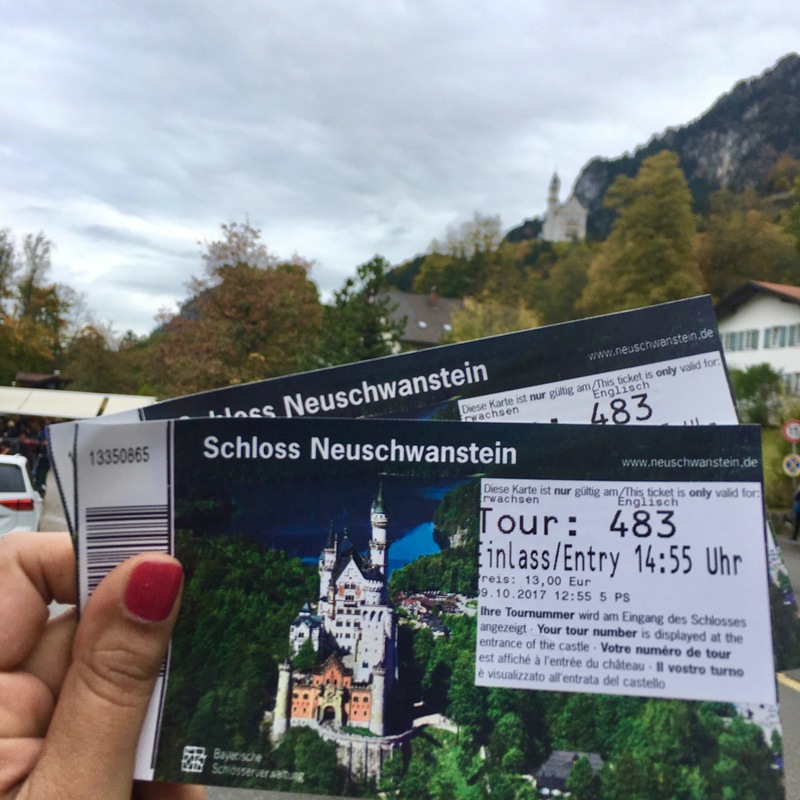 The round-trip tickets cost 2.60 euros, the drop off point is just a stone throw away from the Marienbrucke from where we enjoyed spectacular views of the castle and then enjoyed a downhill walk for about 500 meters to reach to the castle. At the castle, a huge display board flashes the tour number and people queue up to enter the castle. Photography is not allowed inside the castle and you must be a little cautious about the artefacts kept inside the castle. 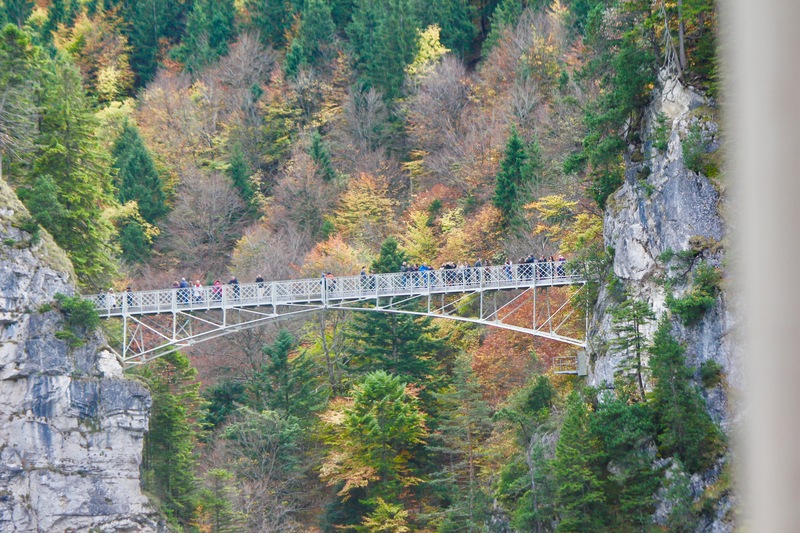 There’s even a restaurant where you can sit and enjoy some Apple strudel or a sandwich with some commanding views. 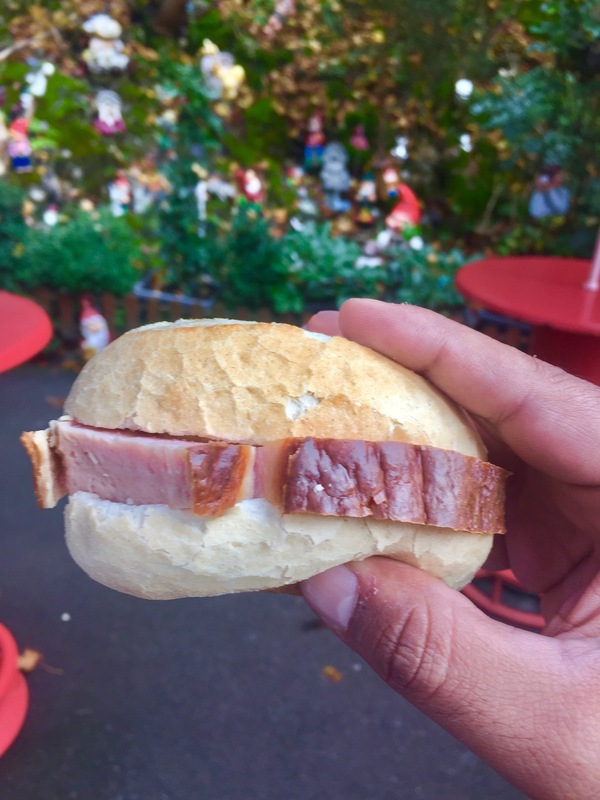 We followed the same path back to Hohenschwangau and enjoyed some really tasty Leberkase Semmel which we bought from a tiny little shop and have to admit it was the best Leberkase Semmel had on our entire trip. 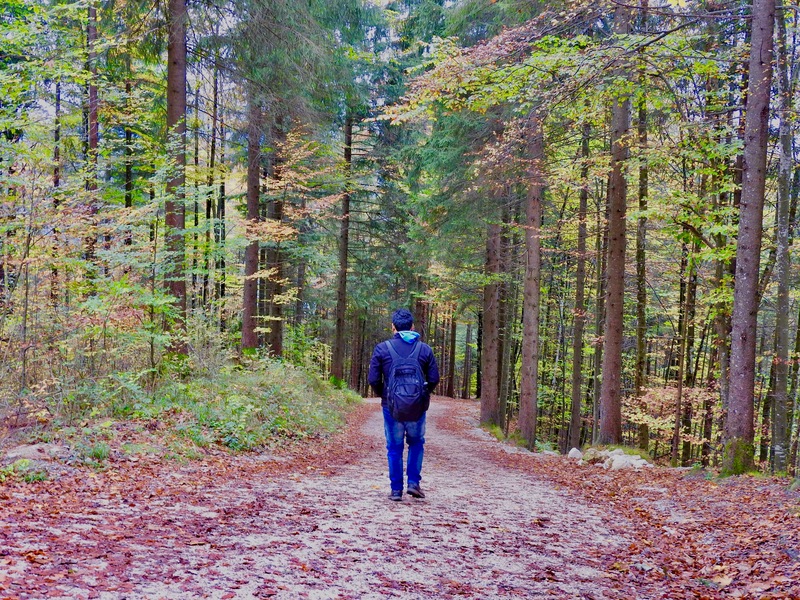 After strolling through a little we headed back to the bus stop and took the bus back to Fussen at around 5:30 pm and were able to catch the last direct train from Fussen to Munich. 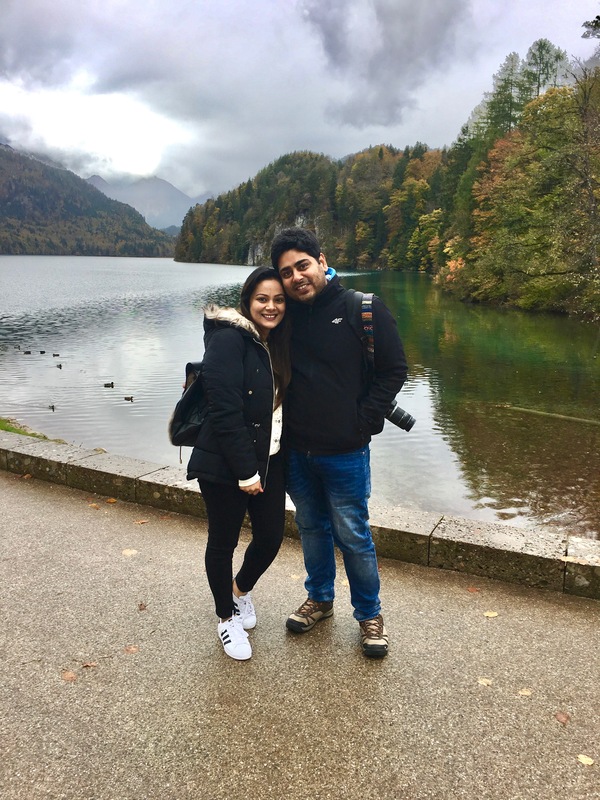 In retrospect, we feel it was one of the most memorable days of our 14 days long Europe trip and we are glad we did the entire day trip at our own pace and really enjoyed every bit of it. Before we say goodbye for today we would like to introduce you to TripHobo– The World’s Smartest Trip Planner, who can help you to plan a trip, so the next time you are planning to visit your dream destination, do look them up!